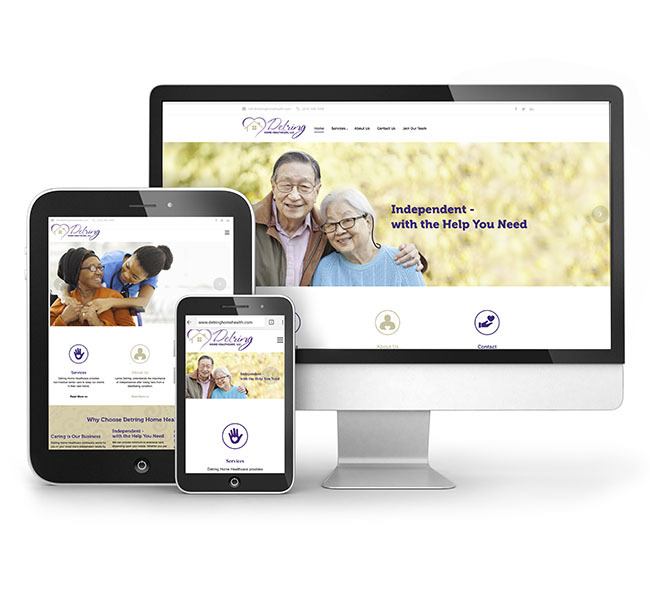 Red Crow Marketing is excited to announce the launch of Detring Home Healthcare’s new website. The new site offers information about Detring’s services, including: hourly/part-time care; live-in care; transportation; housekeeping; meal preparation; and more. The new website also offers information regarding assistance for veterans. Eligible veterans can receive help through the VetAssist® Program offerred by the Department of Veteran Affairs. A contact form and employee application are also included on the new site, both providing easier access to potential clients and caregivers. Check out www.detringhomehealth.com today to see the new website and learn more about Detring Home Healthcare. Detring Home Healthcare offers in-home senior care and assistance in St. Louis and the surrounding areas. Since 2005, Lynne Detring and her staff have provided support to seniors and their loved ones by helping them stay in their own homes with the aid of part-time and live-in caregivers. Visit www.detringhomehealth.com to learn more.